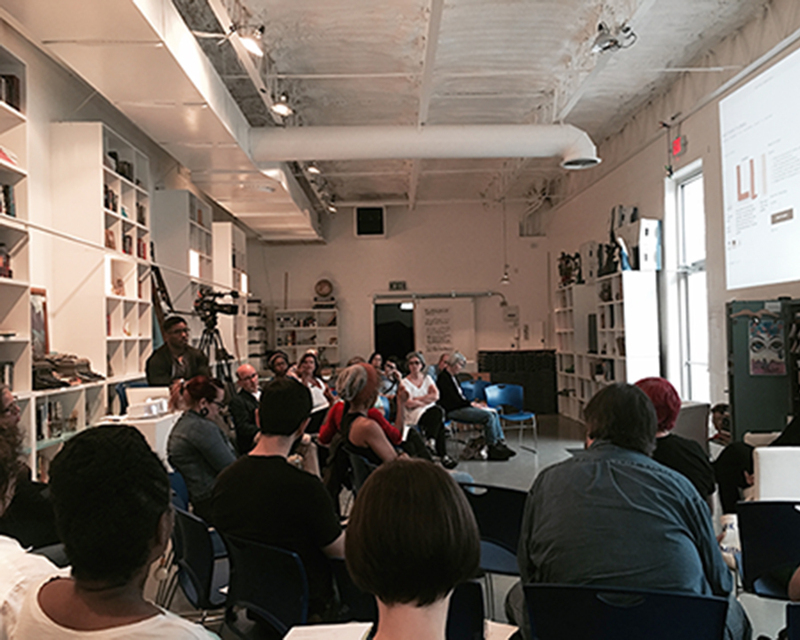 PROJECT: Hustle: Professional Development for Artists – This series provides panel discussions and resources to support visual artists on their path for professional career development. Workshop topics include: writing about your practice, taxes, website design, arts and social practice, and grants and residencies. RESPONSIBILITIES: Assisted with facilitating pre- and post-meetings with artist panels. Contributed content and graphics for Hustle’s Public Art: 101 workshop. Maintained relationships with attending artists and participants by providing creative management services concerning project time frames, budgets, and submittals for request for qualifications and proposals. Participated in strategic conversations for Hustle’s future developments. PROJECT TEAM: Hustle is a free ongoing program organized by ArtsMemphis, UrbanArt Commission, and Crosstown Arts, funded by a grant award.